From Rodney: It all began on a popular dating app! And from our very first interaction over the phone, I fell in love with her infectious laughter. She had quite the easy going aura about herself, that I had been longing for. By that Friday, we had our very first date, and as they say, the rest is history. 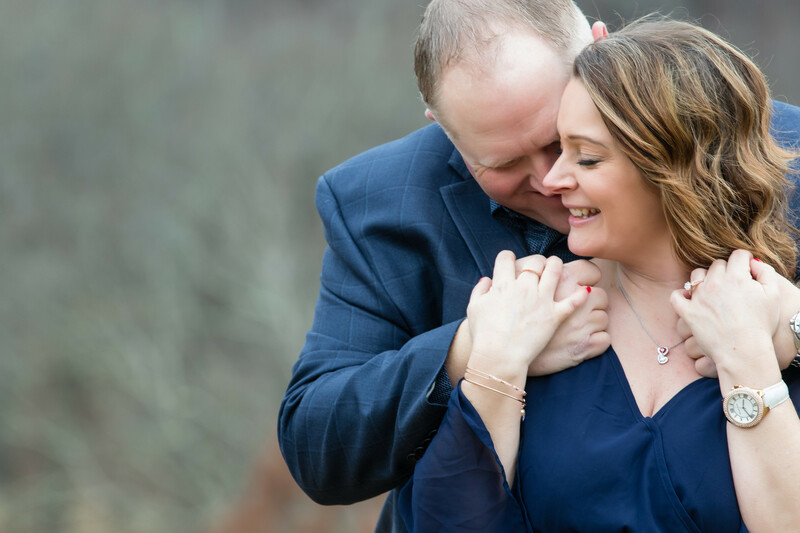 From Stephanie: We first met on an online dating service, Rodney showed by on my search list and I thought ‘Wow, he’s cute’ I’ll send him a message! Our ‘first’ date was watching The Bachelor over the phone, We both enjoyed the show so that was a lot of fun to do together. Once we met in person it was just an instant connection. He is definitely the person I’ve been waiting for my whole life, he’s my best friend and has the most genuine heart of anyone I’ve ever known. The love we have for one other is just amazing, I can’t wait to spend the rest of my life with him. 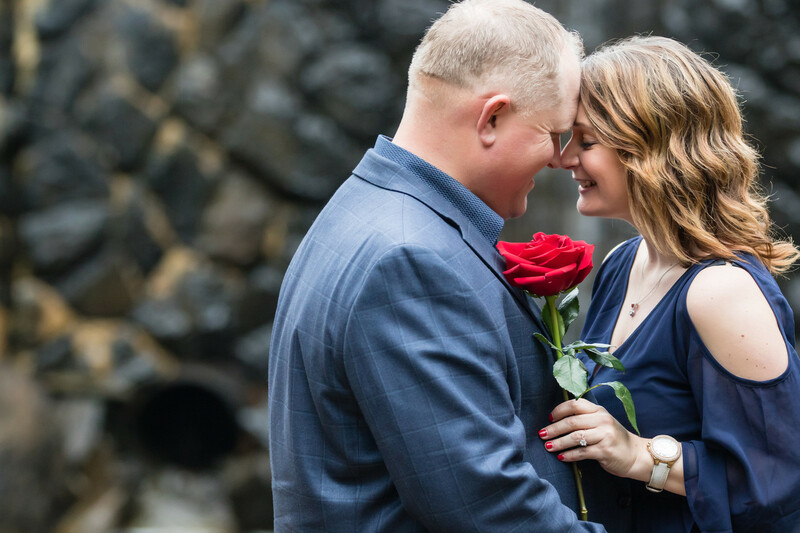 From Rodney: The proposal was one taken from The Bachelor playbook, due impart that we share an mutual interest in the tv show, and spent all of our Monday nights watching it together. So there was no other option for me to propose to the woman of my dreams than to do it Bachelor style. We began dating in September of 2017, and by January 2018, I knew that I had found the woman I wanted to share the rest of my life with. So the plan began to pull off a wonderful proposal that she would never forget. 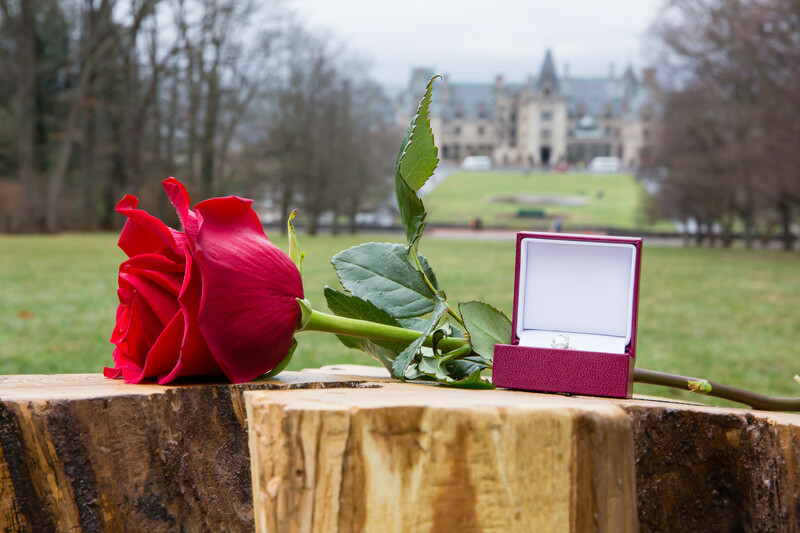 I planned for the proposal to coincide with Valentines Day, so I set for it to take place at The Biltmore in Asheville, N.C. The cover story was that we were going there for the weekend to celebrate Valentine’s Day, and have a relaxing weekend. 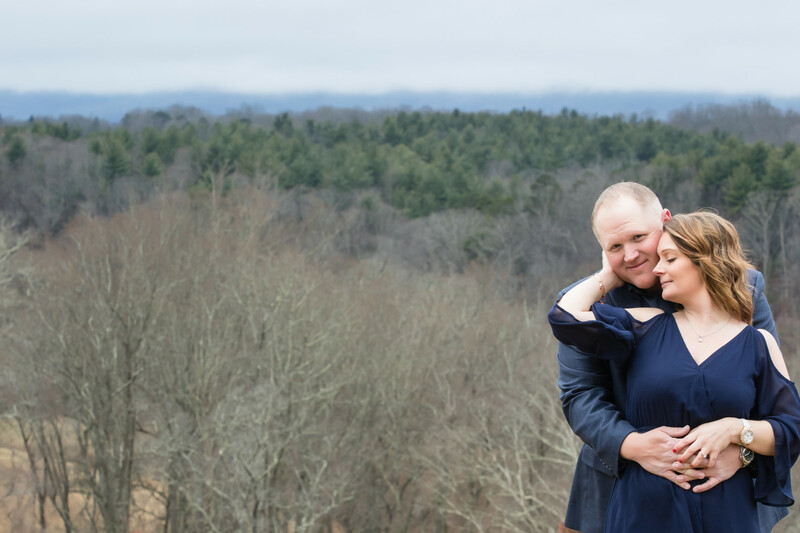 I reached out to Corey Cagel Photography a few weeks prior to the scheduled date, and have them onsite to take photos of the special moment. Corey went as far to help me set the stage for the occasion, by having the props ready for that Bachelor rose ceremony event, to include the rose itself. The day, and the moment went off without a hitch, and Stephanie graciously accepted my proposal and now I can’t wait to see her walking down the aisle to be my wife on July 7, 2018! From Stephanie: We are both spontaneous and have done so much together in such a short time but as the days go on the closer we get and it’s just perfect. 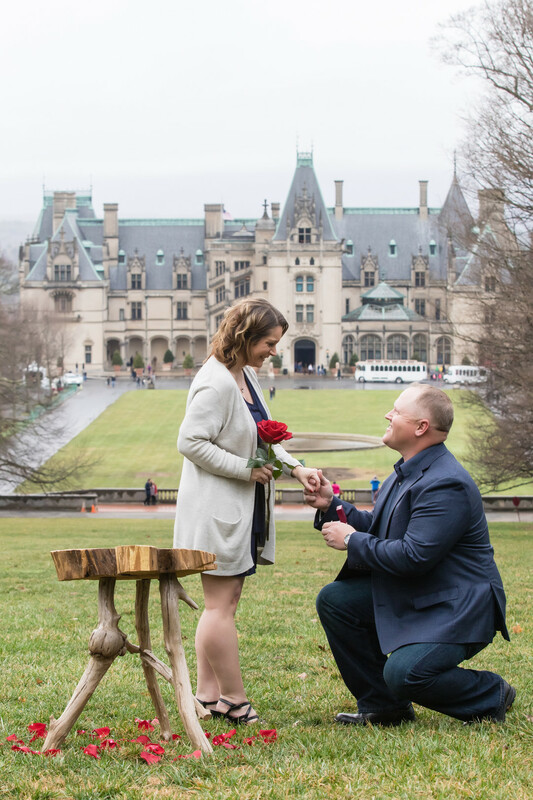 Fast forward to our special day in February, Rodney had planned a weekend getaway to The Biltmore in North Carolina. I thought we were going to celebrate our first Valentine’s day but little did I know he had this amazing proposal waiting for me. 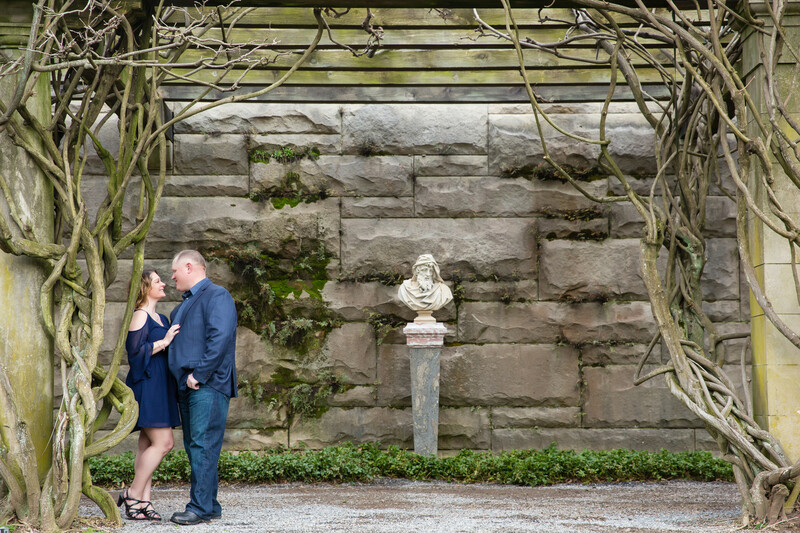 On Saturday we went over to take photos at the Biltmore house before dinner. We walked up to the top ‘to get the perfect photo’ and I see this pedestal with the most beautiful red rose and petals I have ever seen. We walked over to it and he got down on one knee and popped the question. He had recreated The Bachelor proposal which tied into our first date. It was so special and romantic, I was so surprised and excited. It was an amazing moment, just perfect.